Beat This Caption Contest 147 Winner – Caption Contest Funny Clever Witty Enter Today! 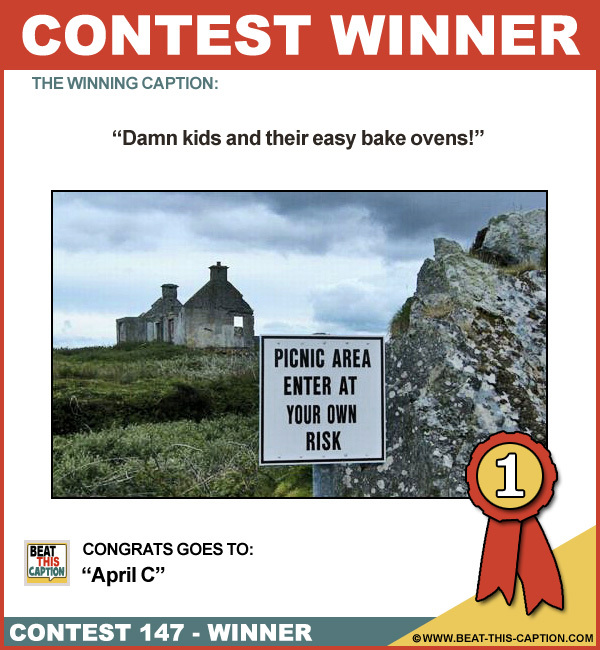 Damn kids and their easy bake ovens! Great Caption! Usually they just burn the roof of my mouth… :) You WIN! The very first Meth lab! Honey, you go first, I’ll catch up. Hello, I need to up my husband’s life insurance! Need some time to yourself? Feel free to drop off the wife, and kids! Here, lightening not only struck twice, but three times!